GREAT floor plan that features the largest master bedroom you are going to find with a big walk in closet as well! 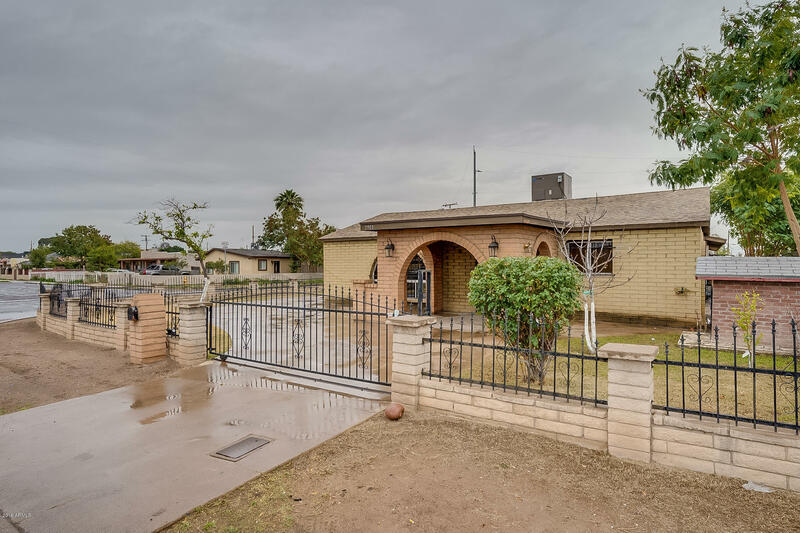 Both bathrooms are updated, new interior paint, new carpet throughout, tile in all the main living areas, great kitchen with granite counters and stainless steel appliances and plenty of cabinet space. Large indoor laundry room. Generously sized mud room off the kitchen that leads out to the garage area. 2 car garage is oversized and rare for this area. Gated yard provides security and curb appeal. Wrap around driveway gives you plenty of parking and allows you to enter the home from two different streets which is nice! Home is on temporary alarm system that does not convey with the sale.